You'll find her on a lonely highway, hitchhiking at midnight. She calls herself Rhee, but everyone else knows her by another name: Resurrection Mary. And when she's transported home each night to a decrepit mansion on a lane to nowhere, she's not alone. In the antique mirror, call her name three times, and Bloody Mary will appear. Outside, wandering through a garden of poisonous flowers is Mistress Mary, Quite Contrary, a nursery rhyme come to gruesome life. Downstairs is another jump-rope rhyme--Mary Mack, forever conscripted to build her own coffin. And brooding in the corner with her horse skull is the restless Mari Lwyd. They are the Marys, the embodiment of urban legend and what goes bump in the night. Every evening, they gather around the table and share nightmares like fine wine, savoring the flavors of those they've terrified. But other than these brief moments together, the Marys are alone, haunting a solitary gloom that knows them better than they know themselves. That's because they don't remember who they were before--or even if there was a before. And worst of all, they don't know how to escape this fate. That is, until a moment of rage inspires Rhee to leap from the highway--and into the mirror with Bloody Mary. Suddenly, the Marys are learning how to move between their worlds, all while realizing how much stronger they are together. But just when freedom is within their reach, something in the gloom fights back--something that isn't ready to let them go. Now with her sisters in danger of slipping into the darkness, Rhee must unravel the mystery of who the Marys were before they were every child's nightmare. And she'll have to do it before what's in the shadows comes to claim her for its own. Featured on A.C. Wise's list of Favorite Novels and Novellas of 2017, Maria Haskins' 2017 Suggested Reading List and 12 Awesome Books to Read, Ancient Logic's list of favorite stories of 2017, and The Horror Fiction Review's Top Ten Reads of 2017! Featured on the Tangent Online 2017 Recommended Reading List and at The Book Smugglers' Women to Read: Where to Start (January 2018) feature! 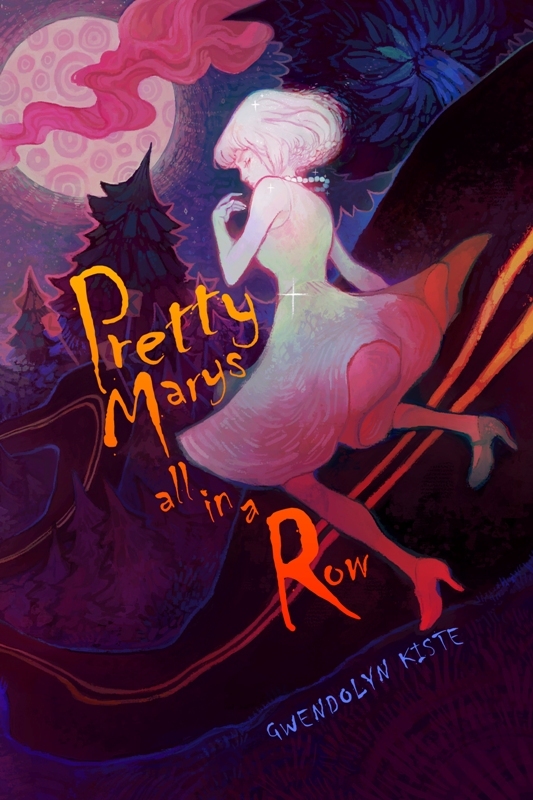 For more reviews of Pretty Marys All in a Row, check out Locus Magazine, Ladies of Horror Fiction, Let's Get Galactic, The British Fantasy Society, S.T. Cartledge, Pure Fandom, Turn to Ash, Kirkus Reviews, It's a Jumble, Quick Sip Reviews, The Horror Fiction Review, The Des Lewis Gestalt Real-Time Review, Unnerving Magazine, Amie's Book Review Blog, Ancient Logic, S.J. Budd, Author Anthony Avina, and again at The Horror Fiction Review! Also featured in Ancient Logic's We Have Always Lived in Haunted Houses article. Also, visit the Goodreads page for Pretty Marys for even more reviews or to add it to your bookshelf!